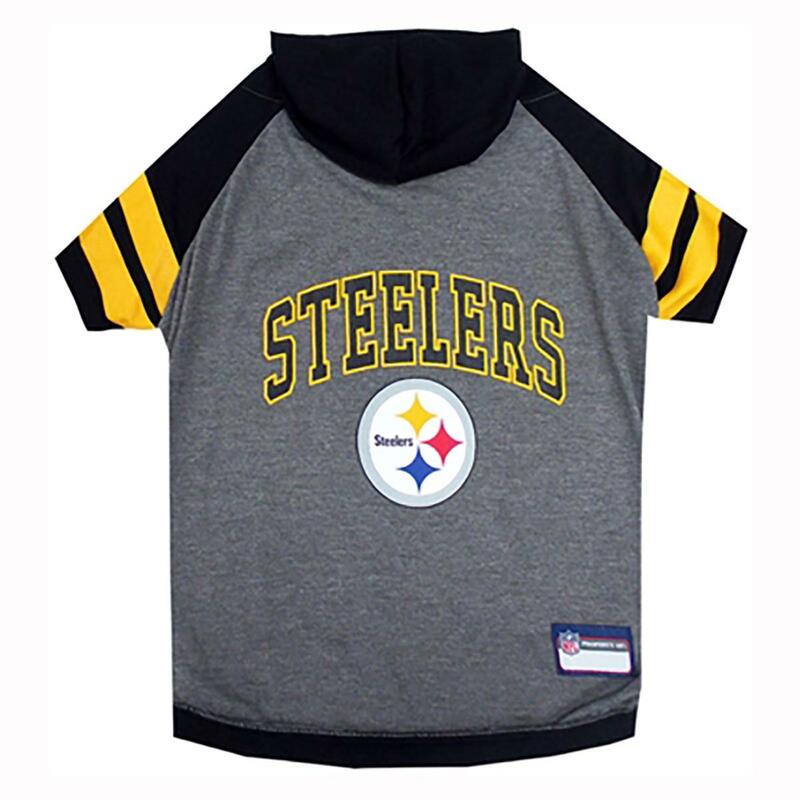 Take your dog out to the gridiron for some fun in this officially licensed Pittsburgh Steelers Hooded Dog T-Shirt! 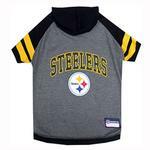 Pittsburgh Steelers Hooded Dog T-Shirt Customer Photos - Send us your photo! Posted On 02/01/18 by Nancy C from Brooklyn , NY Yes, Nancy C recommends this product! This is a nicely made lightweight hoodie. The only issue was that the shirt I received is slightly different than the one shown. It did not have the two gold stripes on the sleeves, but an emblem on one. I have posted a photo of DeVito wearing the one we were sent. Still very cute, but I would have preferred the stripes. I ordered a size L for DeVito. His measurements are : neck - 15", chest - 22", length - 19". Fits accurately. This shirt is true to size and fits great. It is the original NFL gear and looks great on my buddy! I enjoy shopping on Baxterboo.com for my pet because I have so many options to choose from. I really like the clothing options for my pet the most.